So for this week if you want to win you need to pay close attention. Here is the list of guys that you SHOULD start. 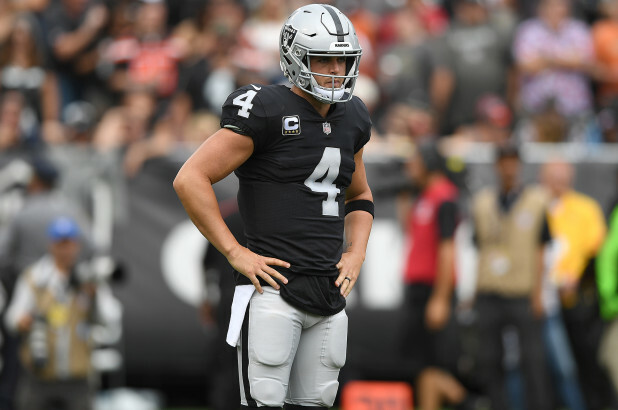 Derek Carr (Raiders QB) — Yes there is all kinds of ish wrong with DA RAIDERS (Chris Berman voice) this year and they are well on their way to a 5-11 season but the front office KNOWS they have a franchise QB in Carr and he KNOWS although they have assured him he is their guy– he will have to show them that he is still the guy they committed 100 Million plus to in the long term contract. He’s up against a week Colts secondary that gives up the big play often. With no Amari Cooper look for him to spread the ball around and get everyone involved. 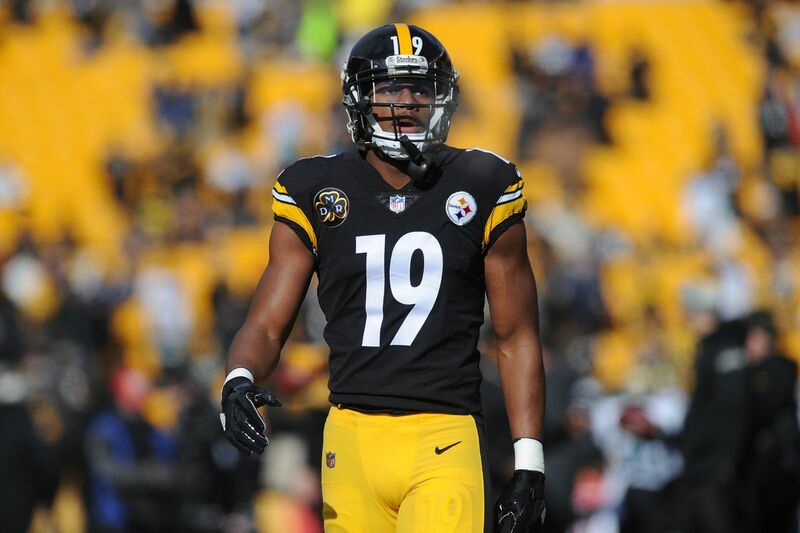 Ju- Ju Smith- Schuster (Steelers WR) — The Steelers will be playing with heavy hearts and for the entire city of Pittsburgh given the recent tragedy. The Browns will focus heavily on trying to stop Antonio Brown which will leave Smith-Schuster in ideal one on one scenarios especially if he is lined up in the slot against line backers or smaller DB’s from the Cleveland nickel or dime package. Look for him score 2 TD’s today and Big Ben usually performs very well at home vs the Browns. 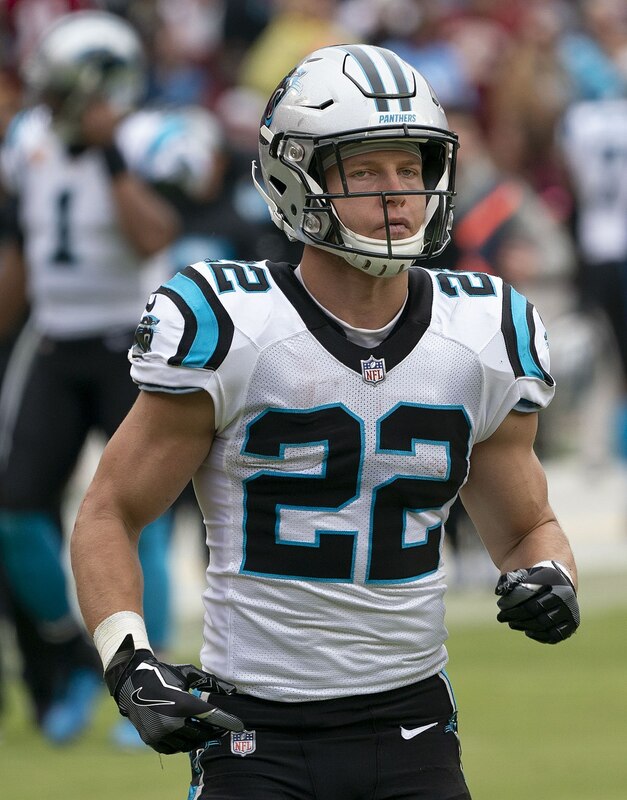 Christian McCaffery (Panthers RB)– The 2nd year running back has been integrated into the Panthers offensive attack more aggressively and his added touches has been paying dividends in the passing game as well as on the ground. Baltimore will have to key in on Cam Newton and keeping him in the pocket. Look for McCaffery to have a field day against slower line backers on flare passes into the flat and swing routes going up the sideline. I expect him to have big game this week. 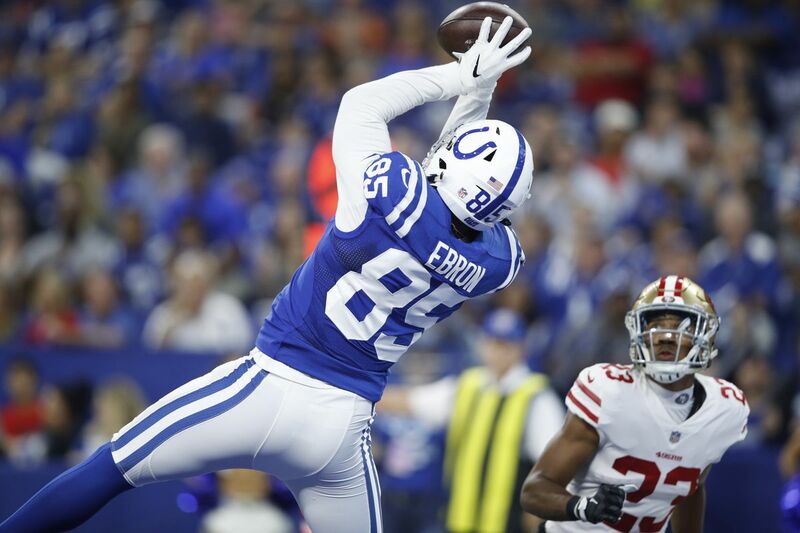 Eric Ebron– (Colts TE) — Ebron has been developing a good on the field repore with Andrew Luck and has been a consistent big target for him in the red zone. And when you factor in that they are playing against a Raider defense that gave up 31 points in Meme to the Bye Week…its expected for him to have a big game. He’s also began to take reps away from Jack Doyle because of how well he’s been doing. 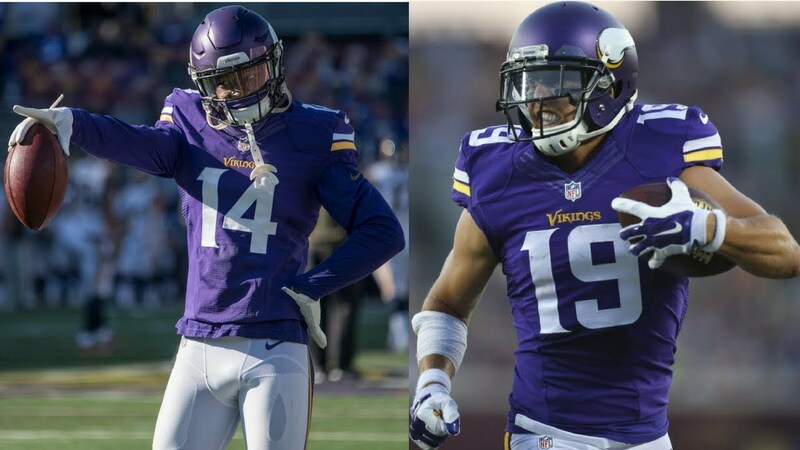 Adam Thielen & Stefon Diggs (Vikings WRs)- This tandem will be playing in home game against the Saints which I expect to be a shoot out. But this contest favors the Vikings because they are at home and it is a night game. The Saints defense traditionally does NOT show up in big games– see last years catastrophe versus Minnesota that cost them a trip to the NFC championship game. 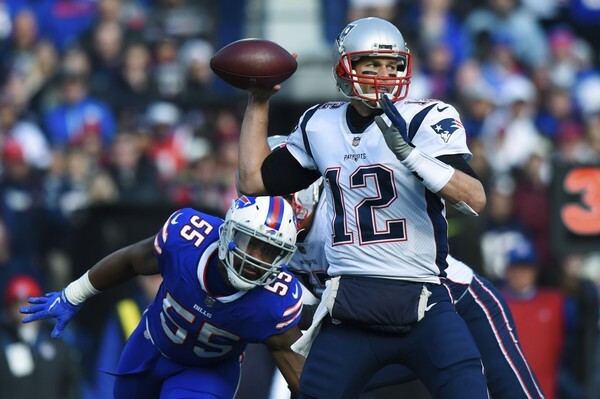 Tom Brady– (Patriots QB)– The Brady bunch will be facing off against the lowly Buffalo Bills– a team that is right back in rebuidling/ trying to get it together mode all over again. Trade rumors are swirling around Shady McCoy and he has a domestic violence case looming over his future while the Bills are playing bad at quarterback and not sustaining drives. Look for Brady to throw for 400 yards and 5 TD’s and likely not even play the full 4th quarter. The Patriots will steam roll the Bills in primetime on the national stage for Monday night football. Alex Collins (Raven Rb)– I don’t like his chances vs a Panthers defense that’s only allowed 2 rushing TD’s all season. And last week Collins did nothing against the Saints– look for that to continue. Case Keenum (Broncos QB)– Look for him to struggle to keep pace with Mahomes and the Kansas City offense on the road. And Keenum does throw a lot of interceptions — look for him to throw 3 today in key moments. If he is your fantasy football starter try to find a better option this week. Matthew Stafford (Lions Qb)– Reports of Seattle’s demise have been greatly exaggerated and Stafford is going to find that out today when he is draped with defenders and the 12th man making too much noise for his audible to be heard properly. Mitchell Trubisky (Bears Qb) — Although he has been playing well lately– call it a hunch but this is the type of game where everyone expects the Bears to roll over the Jets and Trubisky to throw for 300-400 yards and 3 TD’s—so that’s EXACTLY why I’m calling the upset here. It will be one of those classic Jet games where they pick Trubisky off early twice and run one back for the score and then get a punt returned for a TD and blow the Bears out. Jets fans will swear that they have a chance to make the playoff this year…because of today’s win and yada yada yada. He will have a rough game today and not play as well as expected. Buffalo Bills Defense– If you are looking to start the Bills defense today– DON’T DO IT. EVEN if you are a die hard Bills fan. The team notoriously lays an egg when they go against the Patriots and today will be no different. Most teams in the AFC L-EAST do this whenever they face Brady and the Pats, so we can’t just blame them. This entry was posted in Featured, Sports News and tagged Adam Thielen, Colts, Emperor Cole, Fantasy Football, football, MindBender Entertainment, NFL, NFL Football, Panthers, Patriots, sideline um, start um, Steelers, Stefon Diggs, Tom Brady, Week 8. Bookmark the permalink.